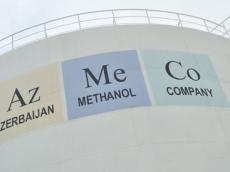 Azerbaijan's methanol company AzMeCo plans to deliver its products to world markets in the near future. Nahid Abbaszade, a representative of the company, told the state news agency Azertac that AzMeCo's methanol plant, the first one not only in Azerbaijan but also in the entire South Caucasus region, will produce 2,000 tons of methanol per day. The plant is expected to annually deliver 720,000 tons of methanol to the market. According to Abbaszade, special terminals are being constructed in neighboring Georgia and Turkey for the supply of produced goods to world markets. The terminals are designated for storing 30,000 tons of methanol. It will be possible to load and unload more than 60,000 tons of methanol products per month at these facilities. Earlier, Chairman of AzMeCo Board of Directors Nizami Piriyev said at the Caspian Oil & Gas Conference in Baku that AzMeCo's production at the methanol plant is expected to begin within two months. According to him, the current demand for methanol in Azerbaijan is insignificant. However, the company has reached an agreement with BP for export of methanol via a Black Sea port of Georgia. In the future, the demand for methanol is expected to increase in Azerbaijan due to the development of the domestic petrochemical industry. An agreement on the sale, purchase and marketing of Azerbaijani methanol was signed in London within the framework of the first Caspian Corridor Conference organized by TheCityUK in cooperation with the International Bank of Azerbaijan and Asia House in November 2012. BP received the vendor status for the entire output of the company. Investments in the construction of the plant amounted to $350 million without interests pay. Piriyev also told Azertac that AzMeCo plans to implement new projects. According to him, the company intends to invest in the construction and development of petrochemical and oil refinery plants in Libya. He said AzMeCo is interested in the oil and gas sector of Libya as well as in developing joint projects with local companies. AzMeCo was founded in November 2007 to invest in petrochemical projects as an owner and operator. In addition to its portfolio of international hydrocarbon investments in the Caspian basin, AzMeCo created a master plan of investment in the non-oil sector of Azerbaijan.